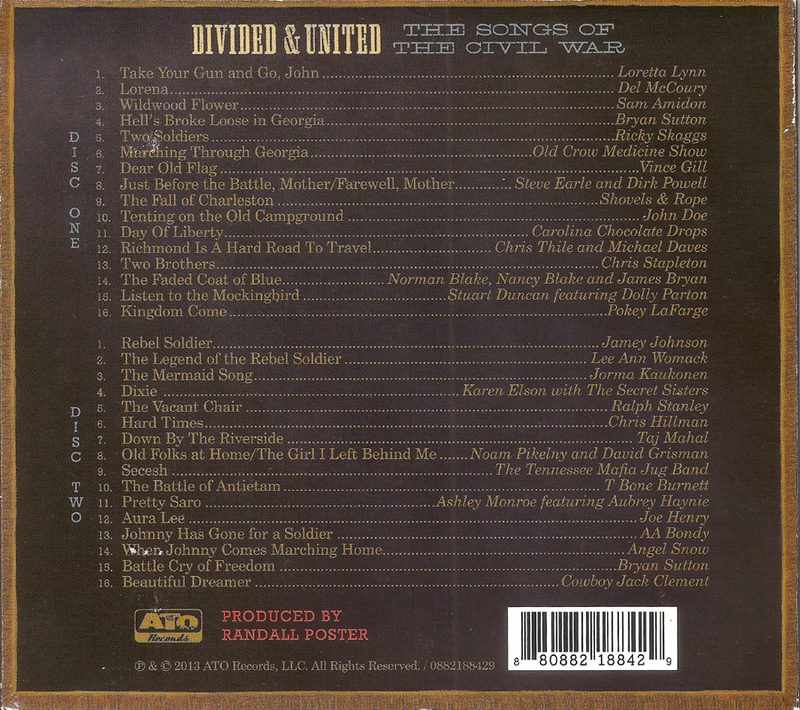 This 2xCD set of American Civil War songs, was put together with the help of Randall Poster, whose credits include music for TV series 'Boardwalk Empire' and the 'Moonrise Kingdom' film. It features a good selection of songs, which were either written about the war, or popularised at the time; with quite an impressive cast of performers drawn from the old-time / bluegrass / country genres. 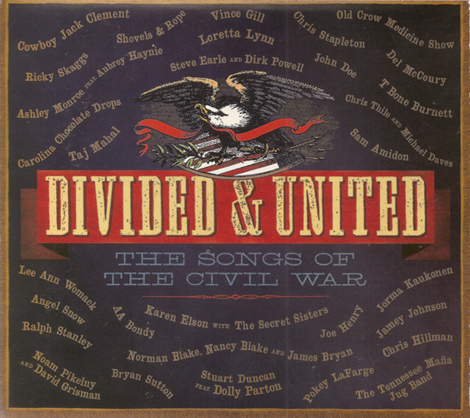 It's noticeable how some of the tunes were adopted by both sides, and ironic that the confederate favourite (I Wish I Was In) Dixie was composed by a minstrel artist from New York. The 32 songs included, also cover the war from many different perspectives. 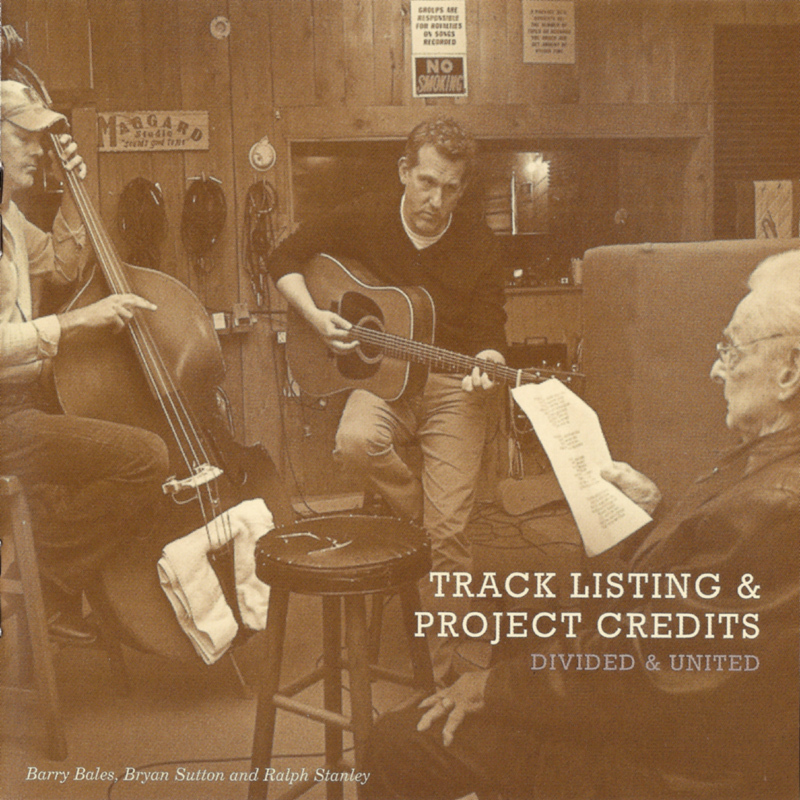 The CD comes in a fold-out digipak, and there's a 32-page booklet including details of the individual songs, and liner notes by Sean Wilentz and John Cohen. There are also three short films on youtube, giving the background behind the project, including interviews with some of the artists (but not Ralph).